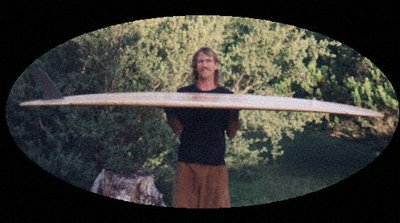 I have been shaping surfboards for over 30 years. I have lived and shaped in Hawaii, California and now Australia, at Cape Schanck Victoria. Mals and Balsa boards are my speciality. The environment on the Mornington Peninsula suits my lifestyle and approach to surfing. Lots of friends, lots of waves, not many guys in the water and lots of pizza and Cooper's Beer. I shape and glass all of my boards with pride and artistry. I have many passions beside surfing: Meditation, the Environment, Human Rights and my family. Contact me using the above methods and I will rap with you about board design and life. If you would like a quote on a board fill out the form below and I will respond asap. "DIG LIFE AND STAY WET"